The third season of the Indian Super League is exactly at its halfway stage, and week four kept with the trend of low scoring matches this term. 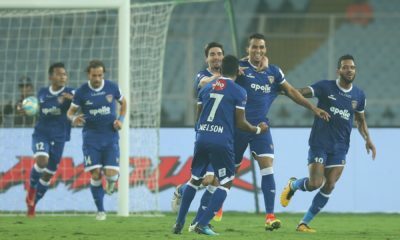 Only seven goals were scored across four games in week four, with Delhi Dynamos’ Milan Singh being the only Indian goalscorer. Two away wins apiece for Atletico de Kolkata and Delhi Dynamos, and two low-scoring draws were in the script for week four. 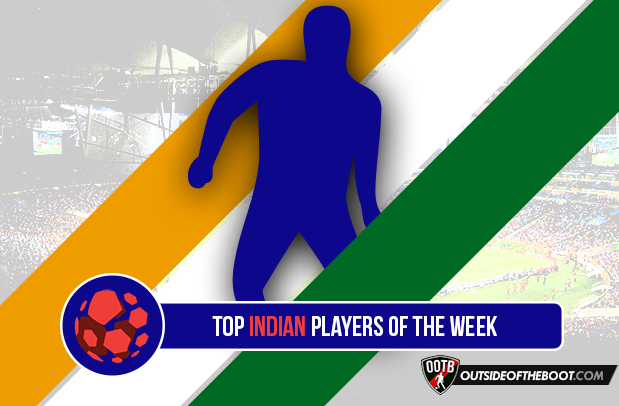 There were a number of impressive Indian performances, as we run down the five best Indian players from the past week. Didika’s two assists in Kolkata’s trip to NorthEast United handed his team the win that took them to the top of the table. The 24-year-old’s career has been beset by injuries, but he has made six appearances this season, albeit most of them being as a substitute. Against NorthEast, Didika made only his second start of the season, and ensured his 100 percent record of winning in games where he has started stayed intact. The East Bengal loanee is considered one of the best Indian attacking midfielders, and Kolkata reaped the rewards of his creativity. More will be expected of the Mizoram-born Didika in the second half of the season. Anas made his long-awaited return from injury in week four as he slotted in seamlessly alongside Ruben Rocha at the heart of Delhi Dynamos’ defence. 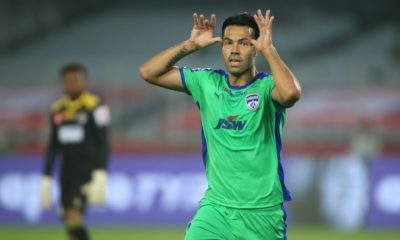 The 29-year-old put in a man of the match display against FC Goa in Goa as Delhi registered only their second win of the season. 18-year-old Jerry has been one of the finds of ISL-3, as his assured performances on the left of Chennaiyin’s back four have seen the defending champions climb into the top four after a slow start. 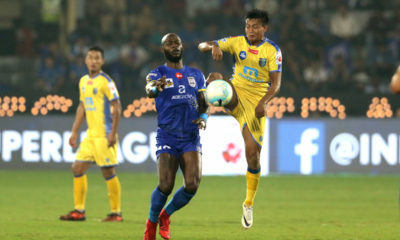 Jerry combined defensive and attacking duties with aplomb against Kerala Blasters, although it was not enough as the game ended 0-0. Jerry had a stint at French club Metz earlier this year, and he seems to be reaping the benefits of that by putting in confident displays. He is also repaying manager Marco Materazzi’s trust in him, and was one of the few bright sparks for Chennaiyin in an otherwise drab draw against Kerala. Milan has played every minute of Delhi’s games this season, and popped up to score his first goal for the club that earned them a draw against Pune City. The box to box midfielder has provided the legs and energy to support the ageing Florent Malouda in Delhi’s midfield this season. The 24-year-old Manipuri makes up for his lack of finesse with desire and drive, and he has been an unsung hero for the Lions this season. With games coming thick and fast in the second half of the season, Milan’s energy from midfield will be crucial to his team’s fortunes, as Delhi look to make it through to the playoffs for the second season running. Chettri was expected to be one of the mainstays of NorthEast’s defence this season, but a red card against Pune City has turned his campaign into a stop-start affair. However, the 26-year-old played the full 90 minutes for the second successive time against Atletico, and although NorthEast lost the game, there are reasons to be optimistic. If Chettri’s fine cross for Emiliano Alfaro’s goal against Kolkata was a pointer to what to expect from the right-back, NorthEast fans are in for a treat. 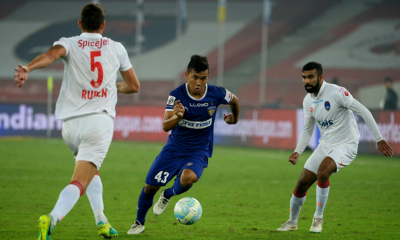 Chettri’s experience stands him in good stead, and more of the same will be expected of him if NorthEast are to make the playoffs this season.